Honestly, I like HGSI and it's science (well, it’s against my rule “never fall in love with stock”, but each rule has the exclusions). I found this biotech gem when HGSI pps was $2-3 range and had some significant stake at time of lupus trial results. But ZALBIN (also known as JOULFERON®) is not the best HGSI product. Albinterferon Alfa-2b (Albuferon) is a results from the genetic fusion of human albumin and interferon alfa. Research has shown that genetic fusion of therapeutic proteins to human albumin decreases clearance and prolongs the half-life of the therapeutic proteins. Actually it is very good idea to link physically albumin with interferon. I remember Novo Nordisk Victoza® (liraglutide) was also designed to bind with endogenous albumine with same purpose to prolong GLP-1 half-life. But they used another technology. Any way, topline results demonstrate that albinterferon alfa-2b met its primary efficacy endpoint of non-inferiority to peginterferon alfa-2a, with 79.8% (249/312) of patients achieving SVR in the 900 mcg albinterferon alfa-2b treatment group, vs. 84.8% (263/310) in the peginterferon alfa-2a treatment group (p=0.0086 for non-inferiority). Well, peginterferon alfa-2a (Pegasys of Roche) dosed once a week, 900-microgram Zalbin, dosed twice monthly. It seems like Zalbin is better than Pegasys in term of patient comfort. But recently, Human Genome Sciences Inc. announced that its hepatitis C candidate Zalbin is unlikely to get a favorable verdict from the US Food and Drug Administration (FDA) at its current dosage. FDA has concerns regarding the safety of 900-microgram Zalbin, dosed twice monthly. The feedback was provided by the regulatory authorities via a “discipline review” letter. The agency communicates a preliminary analysis on possible shortcomings of an application via such a letter. So, Zalbin efficacy is OK, but safety is a real problem. Disclosure: very high probability of negative CRL about Zalbin, may be FDA will ask HGSI to perform additional safety trial. Not big deal for HGSI price because company has real gem Benlysta (approximate FDA panel date is November 16th). May be HGSI will lose a couple bucks after negative FDA answer, so it will be good entry point. No HGSI positions now, may be to buy November 30-33 calls will be good idea. Today HGSI price decreasing to $27.37 was very strange. It's definitely not about Zalbin CRL. Next binary event for HGSI is FDA panel about Benlysta - first effective drug for lupus in over 40 years. BENLYSTA has successfully met its primary endpoint in two pivotal Phase 3 trials in seropositive patients with systemic lupus erythematosus (SLE). SLE is one of a number of forms of lupus, a disease which affects around five million people worldwide with symptoms including fatigue, painful and swollen joints, fever, skin rash and kidney problems. But "secondary endpoints failure take shine off Benlysta". "Benlysta has already met its primary endpoint in BLISS-76 on seropositive patients with SLE: a 10 mg/kg dose plus standard of care achieved a “statistically significant improvement” over 52 weeks in patient response compared with placebo plus standard. But at the end of BLISS-76, belimumab plus standard of care showed higher response rates compared with placebo plus standard – but this difference did not reach statistical significance." "At Week 76 in the BLISS-76 study, belimumab plus standard of care showed higher response rates compared with placebo plus standard of care as measured by the SLE Responder Index; however, this secondary endpoint did not reach statistical significance. Study results also showed that belimumab continued to be generally well tolerated, as demonstrated by a similar rate of discontinuations due to adverse events across treatment groups, with overall adverse event rates comparable between belimumab and placebo treatment groups." Question is here: Who care about these secondary endpoints? Dendreon got positive FDA panel voting even without meeting of primary endpoints (tumor shrinkage) only with secondary endpoints (improving survival by 38 percent). Now DNDN pps is around $40. And patients who received Dendreon's Provenge live an average of 4.1 months longer than those who were given a placebo. I think that all this noise about HGSI has the only one reason: to decrease company price and accumulate it before 2 very important binary events: FDA panel voting and PDUFA. % of shares held by Institutional & Mutual Fund Owners is already	93%, so they want another 7%. Why? May be they know that post-approval price will be much higher than DNDN price. HGSI has Market Cap $5.1B with 188.2M shares out. So, this company can be easy acquired by it's partner GSK (if target $45 pps - $8.5B). Sure that all shareholders will agree with this acquisition. Disclosure: will buy HGSI at lowest price and keep it at least through 2 binary events. Medium risk, high reward. Why Benlysta will be approved. I often see titles like this, so this time I will use it too. Benlysta is not cure for lupus but when this drug added to a standard lupus treatment regimen, it significantly improves symptoms in the majority of participants. May be it’s not enough for FDA approval? Lupus occurs more frequently in women at a rate of almost 9 to 1, though it isn't clear why. Four types of lupus exist — systemic lupus erythematosus (SLE), discoid lupus erythematosus, drug-induced lupus erythematosus and neonatal lupus. Of these, systemic lupus erythematosus is the most common and serious form of lupus. SLE can be fatal, although with recent medical advances, fatalities are becoming increasingly rare. Survival for people with SLE in the United States, Canada, and Europe is approximately 95% at five years, 90% at 10 years, and 78% at 20 years. The rate of SLE varies considerable between countries, ethnicity, by gender, and has changed over time. In the United States the prevalence of SLE is estimated to be about 53 per 100,000, translating to about 159,000 out of 300 million people in the US being affected. In Northern Europe the rate is about 40 per 100,000 people. SLE occurs more frequently and with greater severity among those of non-European descent. That rate has been found to be as high as 159 per 100,000 among those of Afro-Caribbean descent. SLE is considered incurable and current therapies lack specificity and carry significant side-effects. Hydroxychloroquine (HCQ) was the last medication approved by the FDA for lupus in 1955. Taking into consideration that almost all lupus trials failed during last 50 years it’s very low probability that these 12 trials have any prospect of success. Physicians and SLE patients cannot wait another 50 years for next drug. They need it now because there are no other effective disease-modifying treatments approved for SLE. Conclusion: with very high probability FDA panel will say that Benlysta deserved a leniency because there were no other treatments approved for SLE during last 50 years. Since Benlysta successfully met its primary endpoint in two pivotal Phase 3 trials and SLE can be fatal FDA will also approve Benlysta. Disclosure: have HGSI positions and will go through 2 binary events: panel voting and PDUFA. Next week FDA panel will vote for approval of Benlysta. There are almost no doubts about Benlysta efficacy. But as usually I hear questions about drug safety. I haven't heard talk about the 3 deaths, perhaps in a CC transcript after the Nov results were released. Do you have any info on these?" In BLISS-52, belimumab was generally well tolerated, with rates of adverse events overall, serious and/or severe adverse events, all infections, serious and/or severe infections, and discontinuations due to adverse events comparable between treatment groups receiving belimumab plus standard of care and the treatment group receiving placebo plus standard of care. Serious and/or severe adverse events were reported in 18.5% of patients on belimumab and 16.7% of patients on placebo. Infections were reported in 67.6% of patients on belimumab and 63.8%% of patients on placebo. Serious and/or severe infections were reported in 6.2% of patients on belimumab and 6.3% of patients on placebo. Serious and/or severe infusion reactions were reported in 1.6% of patients on belimumab and 0.3% of patients on placebo. Discontinuations due to adverse events were 5.4% in the belimumab treatment groups and 6.6% in the placebo treatment group. No malignancies were reported. A total of 9 deaths were reported in the study: 4, 2, and 3 in the belimumab 10 mg/kg, belimumab 1 mg/kg and placebo groups, respectively. I think that there is no any correlation between dosing and deaths. No malignancies. So, overall safety is very good. Second trial was much longer, 76 weeks. In BLISS-76 through 76 weeks, belimumab was generally well tolerated, with rates of adverse events overall, serious and/or severe adverse events, all infections, serious and/or severe infections, and discontinuations due to adverse events comparable between treatment groups receiving belimumab plus standard of care and the treatment group receiving placebo plus standard of care. Serious and/or severe adverse events were reported in 29.0% of patients on belimumab and 26.2% of patients on placebo. Infections were reported in 74.3% of patients on belimumab and 69.1% of patients on placebo. Serious and/or severe infections were reported in 7.7% of patients on belimumab and 8.4% of patients on placebo. Serious and/or severe infusion reactions were reported in 1.1% of patients on belimumab and 0.7% of patients on placebo. Discontinuations due to adverse events were 7.5% in the belimumab treatment groups and 8.4% in the placebo treatment group. A total of seven malignancies were reported in BLISS-76: 2, 4, and 1 in the belimumab 10 mg/kg, belimumab 1 mg/kg and placebo groups, respectively. A total of three deaths were reported in the study: 1, 2, and 0 in the belimumab 10 mg/kg, belimumab 1 mg/kg and placebo groups, respectively. At least no correlation between dosage and death frequency: 1-10mg/kg; 2-1mg/kg. There were 867 people in BLISS-52 and 819 in BLISS-76. It was different patients groups and statistically the average probability of death for each lupus should be same for each group. So, for 76 weeks period of observation it should be more deaths than for 52 weeks. But we have 9 deaths for 52 weeks and 3 deaths for 76 weeks. It seems like that we should not worry about deaths in trials. The seven malignancies in BLISS-76 can be a problem. No strong correlation between dosing (2-10 mg/kg; 4-1 mg/kg; 1-placebo) but if you compare treated patients against placebo it will be 6:1. Again it was no malignancies in BLISS-52. May be long-term Benlysta carcinogenicity? We don’t know what kind of malignancies they found. If all of them are different it’s not so bad. May they will release additional data in briefing documents release for Benlysta (November 12th). Any way, I think that advisory panel will be very lenient to Benlysta. PDUFA is still risky. FDA may use these 6 malignancies as a reason for CRL and ask about animal cancer study with high Benlysta doses (my fevered imagination). After Arena crash based on rat cancer concern it’s really possible. Finally we have all information about Benlysta. Briefing document and errata for briefing,questions and agenda. All documents are from FDA website. In two randomized, controlled trials, belimumab demonstrated a statistically significant difference in the proportion of responders as defined by the primary endpoint of SRI in the treatment of autoantibody positive SLE. However, the results in Study 1056 are less robust, and for both studies data from other endpoints and subgroup analyses were not consistently supportive. In light of this somewhat marginal efficacy, the relative safety profile of the product must be weighed. Increased risk of serious infection is almost a given with biologic immunosuppressives, so the risk of infection with belimumab is expected. Somewhat unexpectedly, though perhaps not unusual given the underlying characteristics of the SLE population, there may be an increase in the risk for neuropsychiatric adverse events with belimumab treatment. Clearly there is a need for effective therapies in SLE. However whether belimumab ’s benefits sufficiently outweigh its risks is the crux of the issue. Given that flares andsteroid reduction may not be impacted, is a reduction of 4 points in the SELENA ­SLEDAI (the main component driving Study 1056 ’s efficacy result) clinically meaningful? If belimumab only has a modest effect for some patients and manifestations, is a possible increased risk of death, infection, or neuropsychiatric adverse effects worth the potential benefit? Additionally, patients with serious SLE manifestations, such as renal and CNS lupus, were excluded from the studies. If belimumab is not effective for serious SLE manifestations, then it is likely that more potent immunosuppressives, including possibly other biologics, will be needed; the safety of combining of combining those immunosuppressives with belimumab will not have been adequately evaluated.These are the dilemmas posed by the BLA for belimumab in SLE. FDA greatly appreciates the Advisory Committee ’s consideration and input on these weighty issues. Because belimumab targets B-cells,immunosuppression is an expected effect,and chronic immunosuppression has been associated with an increase in risk for developing a malignancy.Therefore,the safety database generated from the controlled SLE trials was examined for cases of malignancy. As shown in Table 36, there were a total 9 confirmed malignancies reported during the controlled SLE trials. No discernable pattern for malignancies was observed. 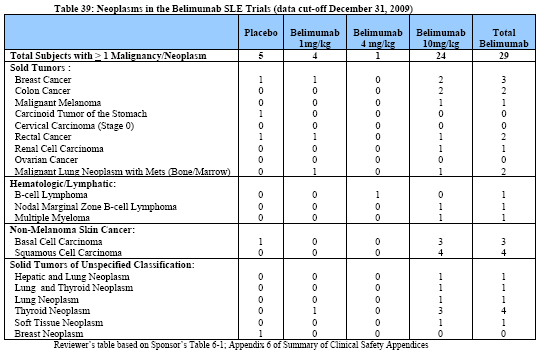 Table 39 below is a tabular summary of all cases of malignancy and neoplasms observed in the belimumab SLE safety database as of the cut-off date of December 31,2009. The most common malignancies observed in SLE patients exposed to belimumab were squamous cell cancer (4 cases),basal cell cancer (3 cases), breast cancer (3 cases),colon cancer (2 cases),and B-cell lymphoma (2 cases). Of note, there were a total of 5 cases of thyroid neoplasms reported either singly (4 case) or associated with hepatic neoplasm (1 case)in patients treated with belimumab. One out of these 5 cases of thyroid neoplasms (Subject US052-009) occurred during the controlled studies,while the remainder were observed in the open-label studies following prolonged exposure to belimumab. Cases of non-malignant thyroid neoplasm are not unexpected, given the reported increased prevalence of thyroid disorders associated with SLE (ranging from 11.5%to 24%) in the worldwide literature.6 However there was a numeric imbalance, with more cases occurring in the belimumab treatment arms. In the 120-day safety update,data cut-off 9 July 2010,there were three new malignancies reported:an SLE patient with MALT type B cell lymphoma,an SLE patient with a malignant thymoma,and 1 RA patient with a B cell lymphoma. All these data is again RED FLAG for me. belimumab,with more belimumab-treated patients reporting neurologic and psychiatric adverse events,SAEs, and suicides.Ascertaining the role of belimumab in this imbalance is again difficult,as patients were exposed to placebo-treatment for shorter durations and there was unequal randomization.However a promoting or permissive role of belimumab cannot be ruled out. May be not red but YELLOW FLAG. Conclusions: I will sell all HGSI positions today. It's too risky. Negative panel vote or FDA CRL will crash HGSI pps to ground (<$10) so it's too high potential losses for me. administered belimumab for 6-months with an 8-month recovery period." What about rats carcinogenicity study? Did rats also were dying after belimumab injections? What if panel or FDA ask about rats study? BTW "the absence of neoplasia in the chronic monkey study administered belimumab for 6-months with an 8-month recovery period is not good argument for the panel, everybody knows that monkeys are not good animal model for carcinogenicity studies. The statistics said that FDA sends CRL for 25% drugs with positive panel vote. FDA Benlysta briefing tone was not optimistic. Drug is really weak and need some additional studies. The CLR asking about new trial will crash HGSI pps below $15 may be even below $10 (like AMLN's CLR). May be 50 contracts is the reasonable risk in this case. I don’t like to play options because I don’t like 100% losses. But short HGSI now is not good idea: FDA approval may easy drive pps to $40-50 range. So, I bought 50 contracts of Jan.11 puts (HGSI110122P00021000) for $1.12 i.e. $5k. CRL or delay will drive HGSI pps deep below $20. In case of Benlysta approval I'll have $5k losses. So, FDA asked about 3 months delay. The reason is here: "After the FDA Arthritis Advisory Committee met on November 16, 2010 to consider the BENLYSTA BLA, the FDA requested some additional information from HGS, which has been submitted." And by the way, FDA not always asked about 3 months delay. Last time with QCOR said "it has been told the FDA will need more time and will not be able to make a decision by Saturday as it had expected. It did not say when the FDA might finish the review. "(September 8th, 2010). QCOR got FDA approval in October 15th, 2010. Well, it took just 1 month. Here, with HGSI we have 3 months. Not good sign... Investors reacted badly: -7.8% AH in Friday. HGSI PDUFA is tomorrow, so we have a strong binary event. However, I'm still skeptical about FDA straight approval for Benlysta. FDA may ask about phase IV (actually good scenario for HGSI) or worse about one more clinical study (phase III) in USA population (very bad for HGSI). Since the probability of both (good and bad) decisions is equal i.e. 50/50 I will be a bystander this time. Finally HGSI Benlysta got FDA approval. Is it a good news for HGSI investors? "The Food and Drug Administration noted Benlysta did not appear to help black patients in clinical studies but there were not enough of them to draw a firm conclusion. The agency is requiring a post-approval study to further assess results in black patients. Black women have a three times higher incidence of lupus than white women, the FDA said. The most common side effects in Benlysta studies included nausea, diarrhea and fever. More deaths and serious infections were reported with Benlysta compared with a placebo. Studies showed 0.9 percent of patients died after taking the highest Benlysta dose, compared with 0.4 percent in the placebo group." It seems like this news is not so good. The downside risk of CRL was very high (-50% pps drop) but upside potential for such approval is very low. Pre-market HGSI pps was just $28 i.e. +10%. Sell of is also possible.